They've still got it (the right stuff, we mean). New Kids on the Black, the original boy band, is banding together with Boyz II Men and Paula Abdul for the Total Package tour. It kicks off May 12 in Columbus, Ohio, and barrels through 40 cities in North America. Get ready for a major spectacle, promises the group. "From a show point of view, we always just want to recreate the show for ourselves and make it special and make it fresh for us and our fans. As far as new music, we're in the studio working on some tracks. 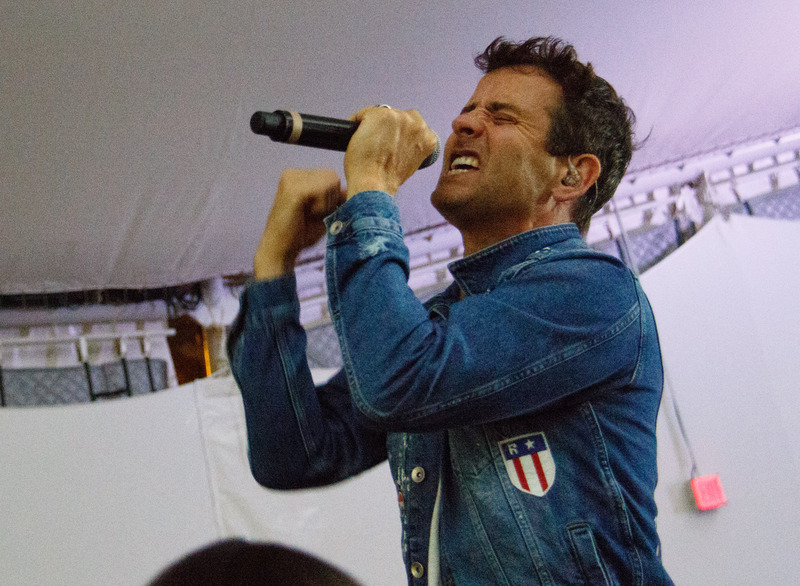 We play the hits and we embrace the past," says Joey McIntyre, singer-songwriter. (Watch our interview with his bandmate Donnie Wahlberg above). The roadshow includes, of course, a special homecoming performance at NKOTB's stomping ground: Boston's Fenway Park. Performing in Beantown is "special," says McIntyre. "(The people here) keep you grounded. You don't get too big for your britches, but when you're successful, they get behind you and support you. It makes you feel like you're home." 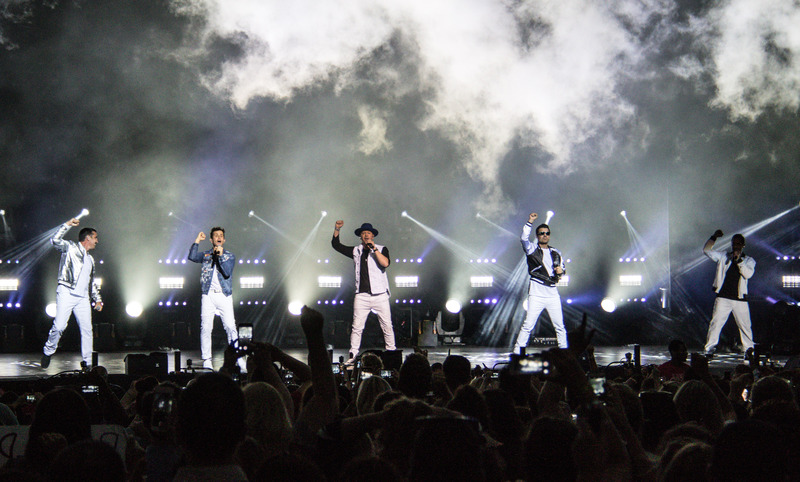 The band, which consists of brothers Jordan and Jonathan Knight, McIntyre, Donnie Wahlberg, and Danny Wood, is "feeling really good," says McIntyre, especially about being back on the road with Boyz II Men. "We have a blast together. The fact that we can grab them again and have them come out – and Paula, it's quite an exclusive thing when you can get someone like that." His key to staying sane on the road is simple. Clear eyes, full hearts, can't lose, to borrow a line from one of our favorite shows. "You have your own bus, for starters. You just stay grounded. You gotta go on to the next show," says McIntyre. "We have a great show every night, no matter what. I'm playing arenas. I still get to do what I love. You take it for what it is, you remain blessed, give it all you can and let it be."